We are huge fans of 3M not only because they are renter friendly, but also because they create so many different small space storage solutions. Not to mention, their abundant DIY potential almost seem endless. 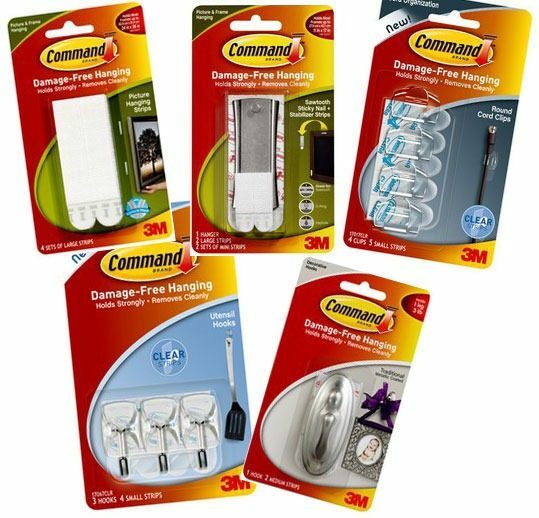 There really is not a single room in our small apartment that you won’t find the ubiquitous 3M command strip. This post is solely our ode to 3M! Often in Hong Kong, many apartments don’t come with curtains or even rails for curtains. 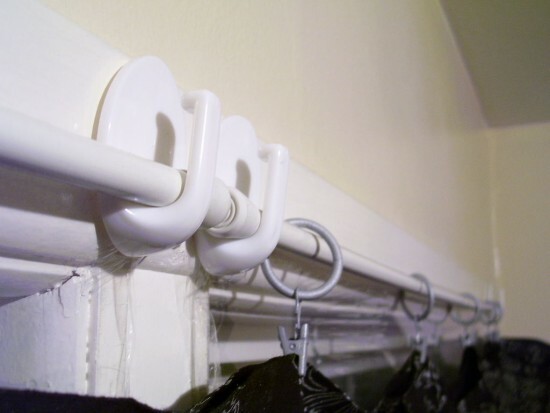 However, with some sturdy 3M hooks, tension rods, & shower curtain rings, you can create an impromptu curtain! Simply put, this idea works and saves you money! 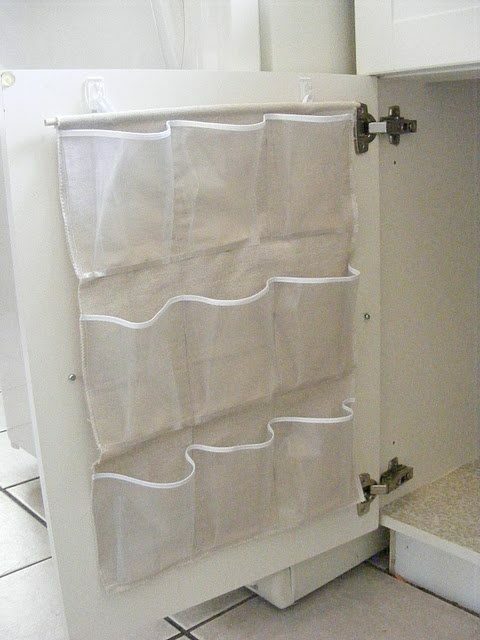 When we first saw the idea of using 3M hooks on the back of cabinet doors, our jaws dropped! However the more we think about this idea, the more we feel this only can be used for lids that are relatively lightweight. Our under the sink cabinet has old and rusty hinges, so this probably isn’t the best idea. We also love this idea of using the plastic wrap package as the carrier. Takes a bit of craft skills, but every time you finish your plastic wrap, you just put a new roll in. Nice! 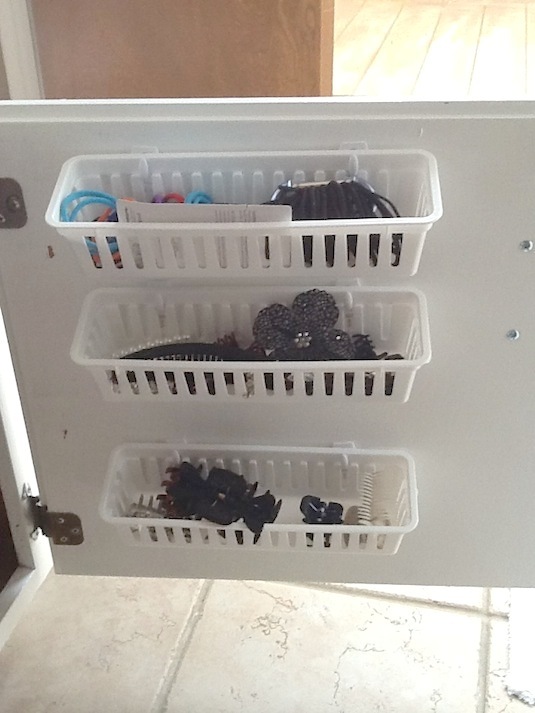 How about a shoe organizer or a basket with your 3M hooks? Once again, make sure you keep things slim, trim and lightweight (i.e. sauce/seasoning packets). 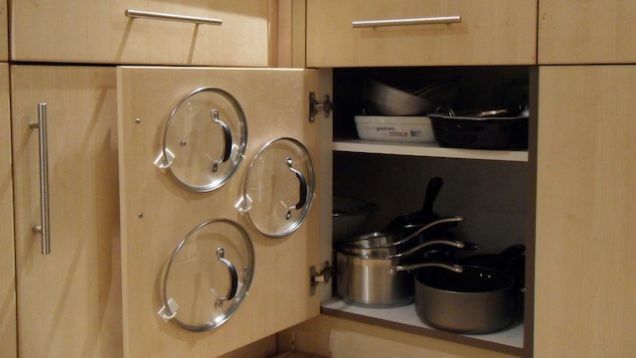 You don’t want your extra storage space to bash into your pots and pans! Extra storage solutions don’t have to be limited to the inside of your doors though. Sometimes easy access to certain things are important. 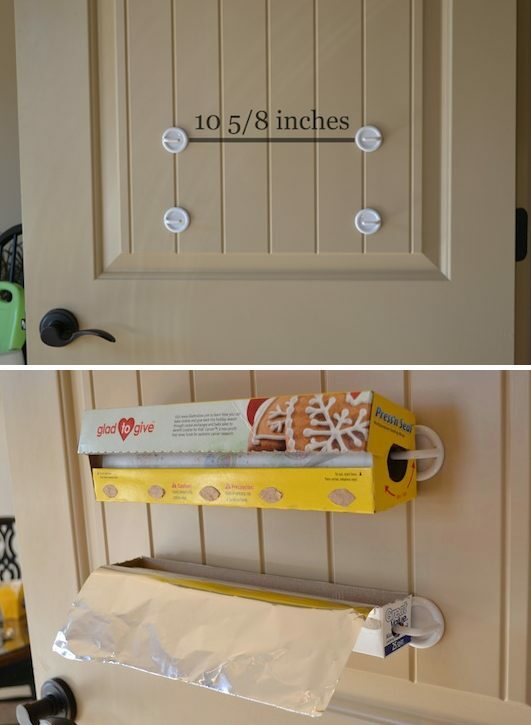 3M command strips and broom hooks can be great spice racks for those home cooks! 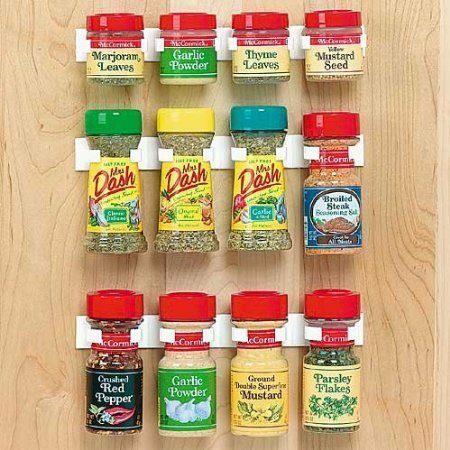 You can always attach these onto your kitchen wall/side of the cabinet, proudly displaying your prized spices. 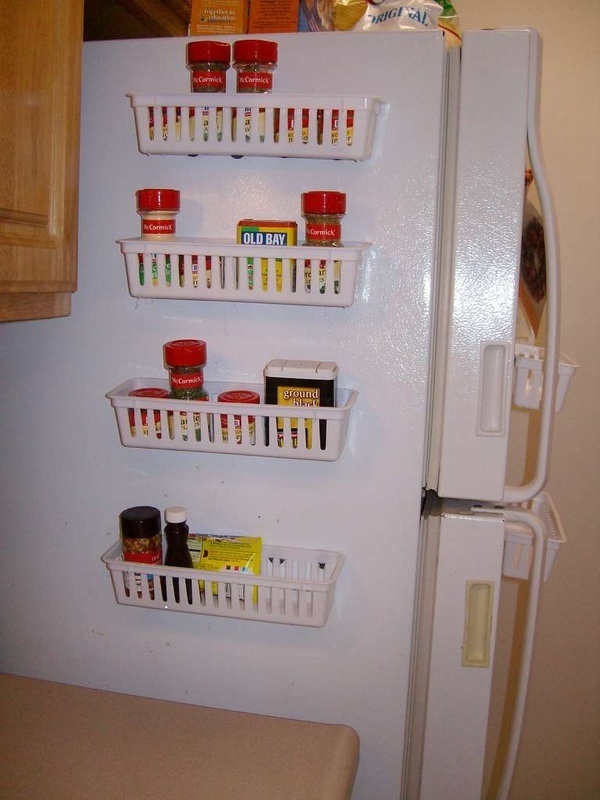 Most of the time, the side of your fridge exposed and yes there are storage products with magnets. But we always find those products to not “stick” as strongly. But you won’t ever have to worry about this problem with 3M command strips! We haven’t done this yet, but we are so going to do this now! 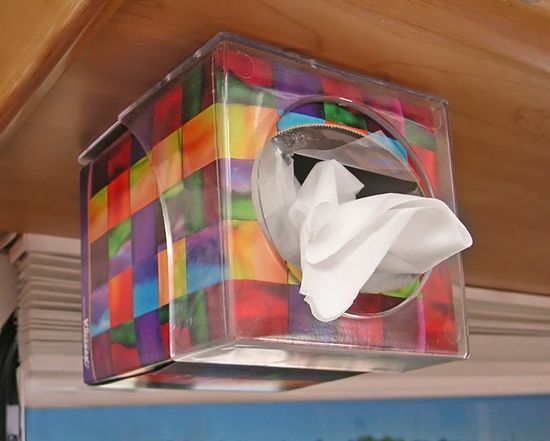 Finally if you can take things off surfaces, it clears off more clutter. We love this idea! With 3M, everything is awesome! Any other ideas you have come across? Leave a comment below.